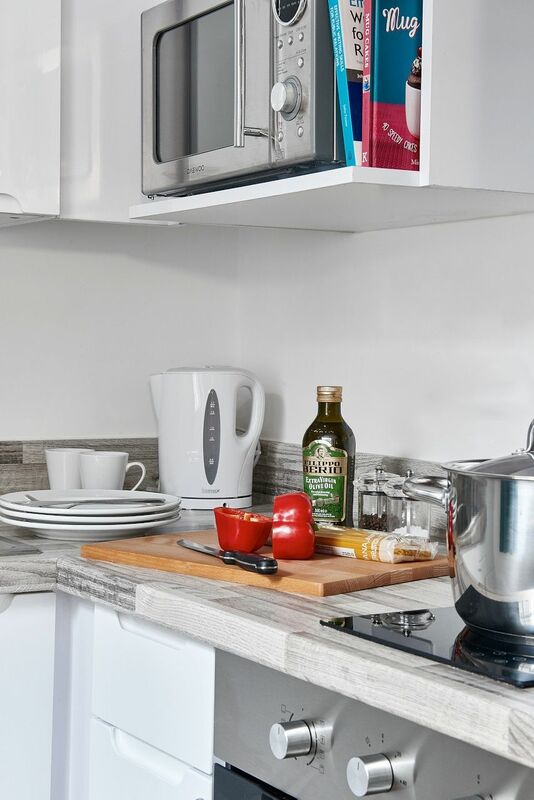 Enjoy living in the brand new student accommodation at The Glassworks, just steps from pubs and eateries. Take a 10-minute stroll over to the New Walk Museum & Art Gallery to check out the latest exhibition, then browse the fresh food and fashions at Leicester Market. Later on, bring a blanket to Bede Park to lay out on the grass with your fellow students. Before heading out to The Criterion Freehouse around the corner for a live music or comedy show, grab dinner at Kuru Kuru Sushi, three minutes away, for a tasty Japanese meal. 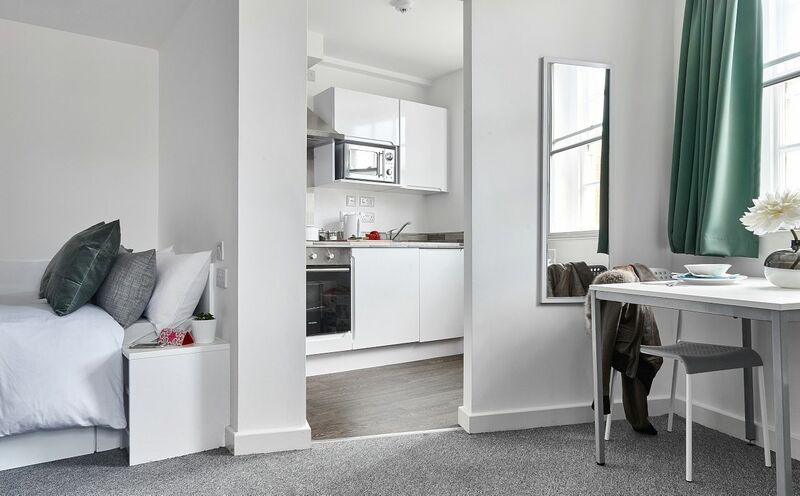 Your student home at The Glassworks is a stone’s throw away from De Montfort University, which means you can roll out of bed at your leisure. Just cross the street and be on campus in under a minute. If you have time, head to the full kitchen to make a cup of tea and a slice of toast, and flip through your messages to see what’s on the schedule for the day. You can pop back home at any time in between classes if you forgot an important textbook, need a snack, or just want a quick break. If you have any lectures at the University of Leicester, you can walk to campus in 20 minutes, ride public transit in 13 minutes, or bike there in seven minutes. When classes are over for the day, walk back to your fully-furnished flat. Open the main door using the the secure entry system, then make a quick change into your workout gear and head for the fitness centre. Afterwards, relax in front of the large wall-mounted TV to catch up on your favourite shows. You can also wander down to the cinema room to see what’s showing. Research an upcoming presentation with Wi-Fi internet speeds of up to 100Mb. Reserve a spot in the communal study room or retreat to your private bedroom with a three-quarter size bed. Turn on your lamp and take a seat at your desk to focus on your school work. With 24-hour CCTV and an on-site management team, you can rest easy about safety or maintenance issues. We couldn't find a room that matches your preferencesView all Private Room in The Glassworks. We couldn't find a room that matches your preferencesView all Entire Place in The Glassworks. 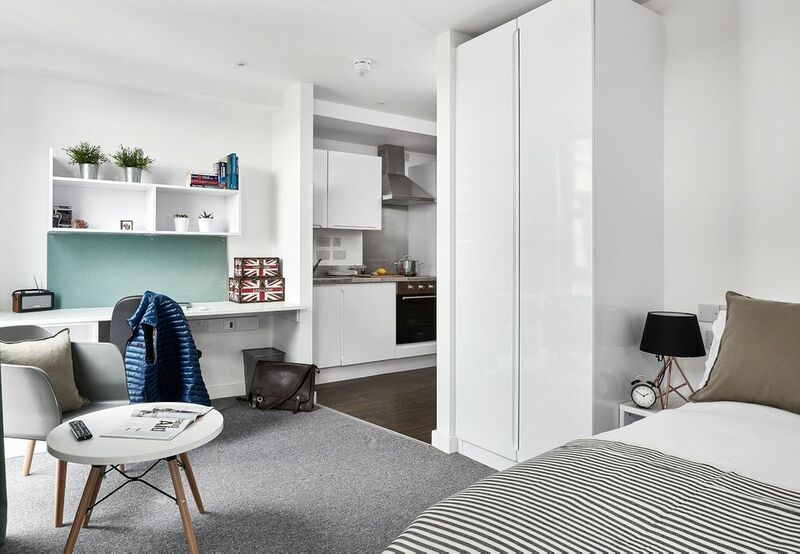 If your notice of cancellation is received by writing within 24 hours after you have submitted an application form and the period of the tenancy has not commenced, there will be no charge and the initial rental payment of ?300 will be refunded in full.